From Amazon: This exciting title serves as an access point for students whose interests in the Fab Lab tend toward production and the introduction of new objects into the world around them. It comes packed with tangible examples of projects that can be undertaken by beginner, intermediate, and advanced Fab Lab users. 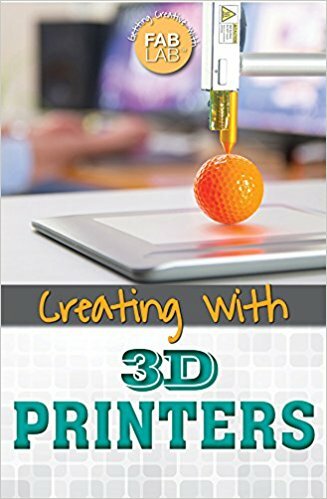 Furthermore, this title acts as a practical guide to better understanding 3D printers and how they can be used in a Fab Lab setting. Most importantly, the text shows how Fab Lab skills are relevant to students STEM classes at school and their development of a career path.